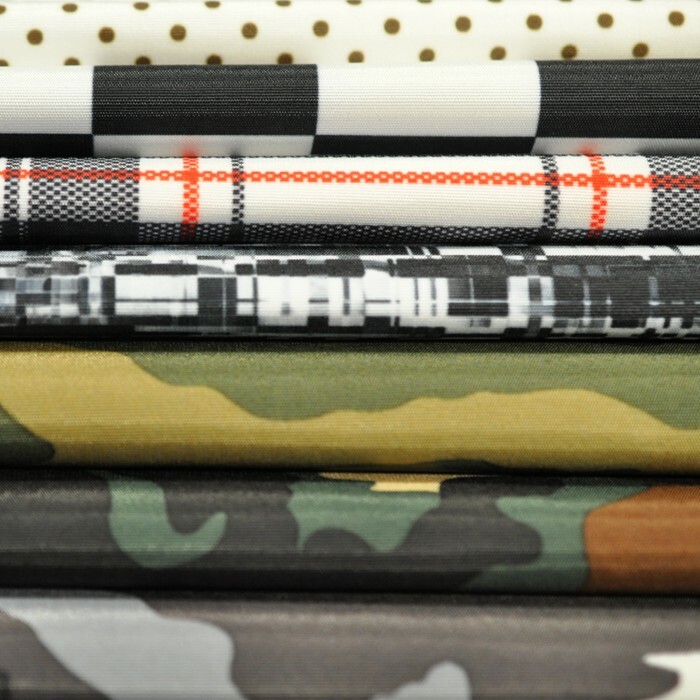 Check out our great selection of outerwear fabric for sale, perfect for custom jackets and many other applications! If you know what you are after, use the top menu bar to go directly to what you are looking for or choose the appropriate Sub-Category below to check out the wide selection of waterproof fabrics available. 2-Ply Printed UltrexUltrex is a two-part system of densely woven fabric, micro-porous polyurethane coating and a DWR (durable water repellent) finish. Waterproof, windproof, and breathable. Waterproof, breathable and windproof. 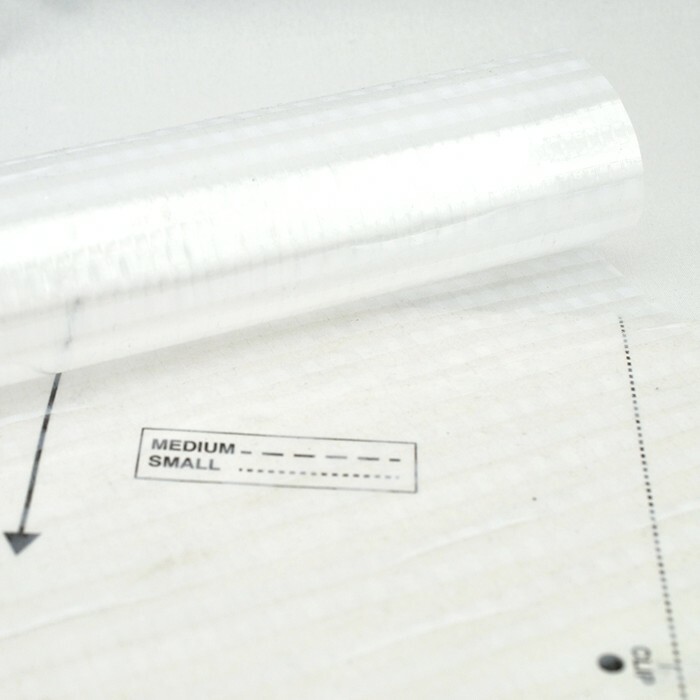 The two-ply has a face fabric and a micro porous Teflon membrane. It is recommended that 2-ply be lined, to protect the membrane. Meshes and uncoated nylons work well for this. Two-part system of densely woven fabric, micro-porous polyurethane coating and a DWR (durable water repellent) finish. Waterproof, windproof, and breathable fabric system that produces durable, performance fabric. It is recommended that 2-ply be lined, to protect the membrane. Meshes and uncoated nylons work well for this. Three-part system of densely woven fabric, micro-porous polyurethane coating and a DWR (durable water repellent) finish. Waterproof, windproof, and breathable fabric system that produces durable, performance fabric. 100% nylon tightly woven fabric made from a very fine filament. This outerwear fabric for sale has a durable water-resistant (DWR) finish to repel rain. It has wicking capabilities to keep you cool in the summer. 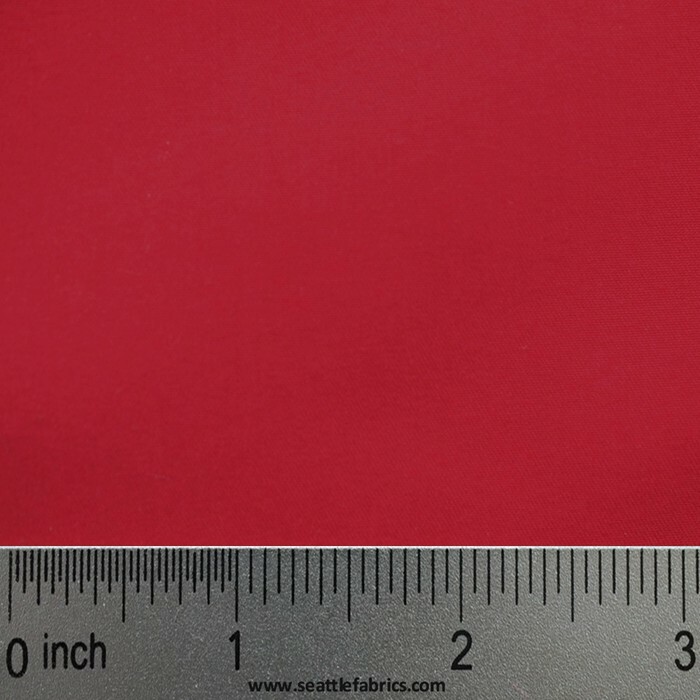 This fabric travels well and is excellent for all outerwear projects. The stout 2-ply hi-count nylon weave of this versatile fabric makes it useful for anything from skiwear and wind shirts to hiking and surfing shorts. Cleaning: cold water wash, line dry, may be dry-cleaned, no Trichloroethylene. 100% polyester microfiber with a soft sanded finish. Woven tightly with extremely fine fibers, it is very water repellent and still breathable. In addition, this outerwear fabric for sale has a DWR (durable water resistant) finish. This amazing fabric has the look and feel of a heavy sanded silk fabric that is great for all outerwear and rainwear projects. Printed Micro Suede Polyester DWR for jackets, to shorts and shirts, to swim wear, these fabrics are perfect for clothing and other garments worn near the skin! Completely breathable! 6.5 oz sq. yd. 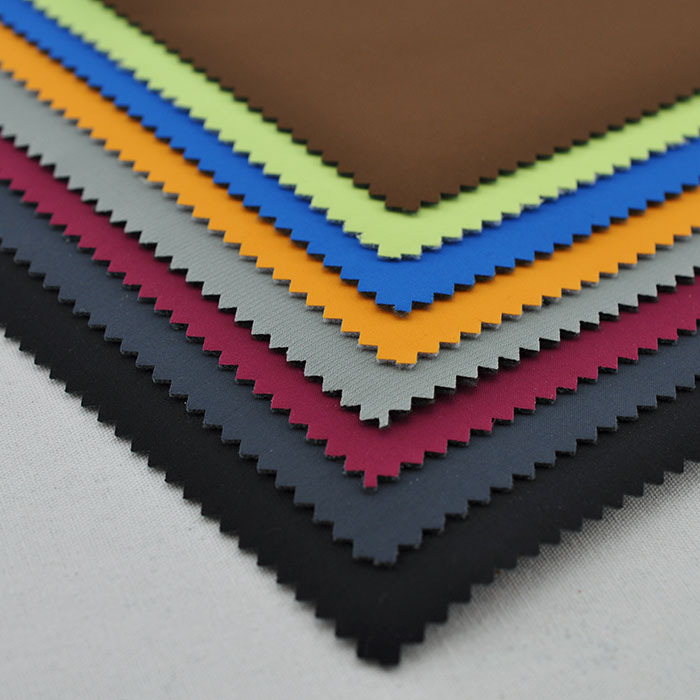 This 100% solution dyed polyester incorporates UV resistant characteristics for long-term color and strength retention along with excellent breathability and abrasion resistance. The HydroMAX finish raises the bar of hydro-static performance and delivers unsurpassed water repellency, mildew and oil resistance without relying on environmentally unfriendly coating compounds. WeatherMAX 65 has anti-microbial properties and a minimum UV resistance of 1000 hours but only weighs 6.5 oz./sq. yard due to the use of a filament rather than a spun yarn like acrylic fabrics. Excellent for anything from horse blankets to tough outerwear to marine grade tarps. A high-visibility, fabric, for safety clothing, hunting apparel, bags, etc. Treated with DWR (durable water resistant) Scotchgard? Rain and Stain Repellent for maximum water repellency, Ten Mile Cloth is soft, comfortable, provides superior cold weather resistance, has excellent mold, mildew and chemical resistance, is great for safety applications and is inherently quiet. This super soft 7.6 oz / sq. yard. Polyester has a DWR face with a Weather Guard Membrane and Micro Fleece backing. This is a new addition to our Soft Shell technical outerwear. Going beyond traditional 2-layer systems, which feature fleece insulation and a waterproof/breathable shell, to a single layer that protects against all but the worst weather conditions and delivers extended breathability, abrasion resistance and stretch to enhance your outdoor experience. The durable water repellent (DWR) face will shed rain and snow and the mechanical stretch gives freedom of movement. Garments made from Soft Shell are designed to replace traditional fleece and shell systems for most outdoor clothing applications, reducing the weight and number of layers needed to insulate and protect. They are ideal for skiing, snowboarding, winter climbing, cycling and back-country trekking. They are used in jackets, pants, bibs, hats, and gloves. This super soft 7.6 oz / sq. yard. Polyester has a DWR face with a PTFE (Micro Pours Teflon) Membrane and Micro Fleece backing. This is a new addition to our Soft Shell technical outerwear. Going beyond traditional 2-layer systems, which feature fleece insulation and a waterproof/breathable shell, to a single layer that protects against all but the worst weather conditions and delivers extended breathability, abrasion resistance and stretch to enhance your outdoor experience. The durable water repellent (DWR) face will shed rain and snow and the mechanical stretch gives freedom of movement. Garments made from Soft Shell are designed to replace traditional fleece and shell systems for most outdoor clothing applications, reducing the weight and number of layers needed to insulate and protect. They are ideal for skiing, snowboarding, winter climbing, cycling and back-country trekking. They are used in jackets, pants, bibs, hats, and gloves. This soft, quiet camouflage fleece is waterproof, breathable and windproof. The warmth, comfort and quite/stealthy qualities of fleece matched with waterproof properties of a microporus lamination make this a superior material. The two-ply fabric has a soft fleece face and a microporous Teflon membrane backing. It is recommended that 2-ply be lined, to protect the membrane. 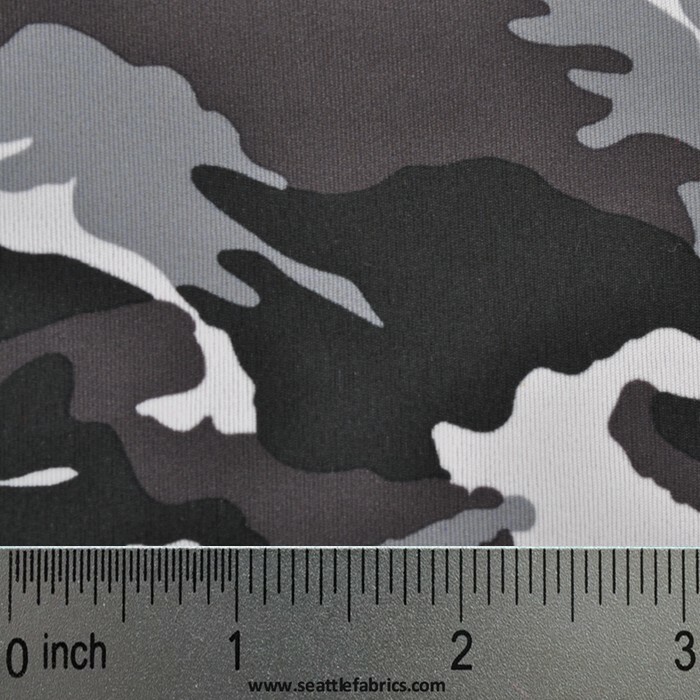 This outerwear fabric for sale is perfect for hunting gear. Waterproof, breathable and windproof. A micro-porous Teflon, sandwiched between an outer shell fabric and a tricot mesh. The three plies consist of the face fabric, the membrane, and a tricot lining to protect the membrane. This outerwear fabric for sale has a two-part system of densely woven fabric, micro-porous polyurethane coating and a DWR (durable water repellent) finish. Waterproof, windproof, and breathable fabric system that produces durable, performance fabric. It is recommended that 2-ply be lined, to protect the membrane. Meshes and uncoated nylons work well for this. This super soft 12.7 oz. Polyester has a DWR face with a Weather Guard Membrane and Micro Fleece backing. This is a new addition to our Soft Shell technical outerware. Going beyond traditional 2-layer systems, which feature fleece insulation and a waterproof/breathable shell, to a single layer that protects against all but the worst weather conditions and delivers extended breathability, abrasion resistance and stretch to enhance your outdoor experience. The durable water repellent (DWR) face will shed rain and snow and the mechanical stretch gives freedom of movement. Garments made from Soft Shell are designed to replace traditional fleece and shell systems for most outdoor clothing applications, reducing the weight and number of layers needed to insulate and protect. They are ideal for skiing, snowboarding, winter climbing, cycling and back-country trekking. They are used in jackets, pants, bibs, hats, and gloves. 100% polyester micro fiber with a soft sanded finish. Woven tightly with extremely fine fibers, it is very water repellent and still breathable. In addition, it has a DWR (durable water resistant) finish. This amazing fabric has the look and feel of a heavy sanded silk fabric that is great for all outerwear and rainwear projects. From jackets, to shorts and shirts, to swim wear, these fabrics are perfect for clothing and other garments worn near the skin! Completely breathable! A fabric that is constructed with the warp thread out of a colored nylon and the fill thread out of a different color of Antron polyester. This gives the fabric an iridescent appearance. In addition, this outerwear fabric for sale has a DWR (durable water resistant) finish for added water repellency. Great for rain coats, shorts, jump suits and jackets. Plus makes great lining fabric (see bag picture to left)! 100% nylon tightly woven fabric made from a very fine filament. It has a durable water-resistant (DWR) finish to repel rain. It has wicking capabilities to keep you cool in the summer. This fabric travels well and is excellent for all outerwear projects. This state of the art fabric is wind and water resistant. The stout weave of this versatile fabric makes it useful for anything from skiwear and windshirts to hiking and surfing shorts.